DiCaprio, Leo – A few years after a woman slashed his face with a piece of glass at a party, the Inception star got a restraining order against another woman, who insists the two are married and says she is carrying DiCaprio’s baby, Jesus. 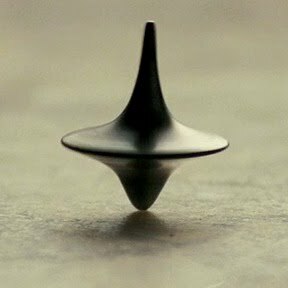 Somewhere, DiCaprio hopes, a top is still spinning. Gaga, Lady – After telling Q magazine about her occasional illegal drug use, Gaga was quoted by Contact Music as saying that using drugs has helped her creativity and inspired her work. After seeing her outfits and videos, drugs replied that they have been inspired by Lady Gaga. Kardashian, Kim – Last week Kardashian said on Lopez Tonight that she would date 16-year-old pop star Justin Bieber if he were of legal age. If she would prefer that he also look of legal age, she’ll have to wait until he is 57. Lawrence, Joey – The Blossom actor suffered a corneal tear when another actor accidentally hit him in the eye with a script during rehearsal on the set of new show Melissa & Joey. After seeing the trailers, that will be the funniest thing that happens on the show. Parker, Mary-Louise – The star of Weeds reveals to Vanity Fair that, although she portrays a drug dealer on the show, she has never smoked marijuana. Wow. If that’s possible, maybe Sasha Grey has never really…uh, no. ← Can Jimmy Fallon Make the Emmys Relevant Again?